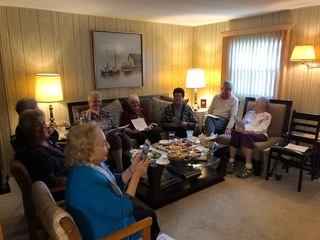 The last quarter of 2018, we joined together as a community in prayer and discernment for the leadership and direction of ARCWP. We continue to trust and rely on Sophia’s Wisdom for that direction. ARCWP has a bright future. Many have given time and energy to a variety of needs. We can only grow and be continually successful if each one of us is willing to do our part. We are very grateful for those who, after prayerful discernment, accepted their nomination, and for those ofYOU who participated in our process, cast your vote, and continue to remember us in your prayers. 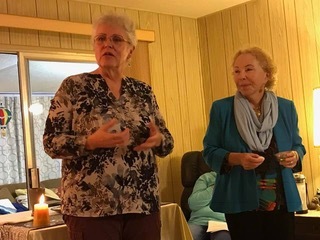 On January 30 in Sarasota, there was a beautiful liturgy and anointing of the Leadership Circle of ARCWP. 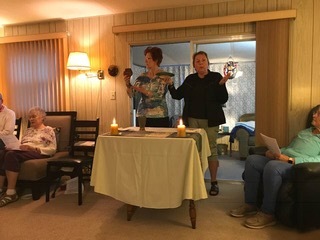 Kathie Ryan prepared the liturgy and Bridget Mary Meehan and Mary Eileen Collingwood anointed those elected leaders present. Local members of ARCWP represented and witnessed on behalf of the entire membership. It was indeed a blessed time to be together. Your elected leaders thank you and accept the responsibility of their office and commit to working on your behalf with ARCWP’s Vision, Mission, and Values as their guide.